Traveling the interior of Thailand there are a number of options, ranging from (in increasing order of local interaction) planes, taxis, buses and trains. Exploring Thailand by train is by far my favorite. Planes are fast, impersonal and can be expensive- a good choice for those with more money than time. Taxis can be surprisingly economical for mid-distance journeys, with trips of around 2 hours from Bangkok (for example Pattaya or Ayutthaya) costing between 1500 and 2000 Baht (USD50-65). Buses are popular with locals for traveling intercity, but there are too many stories of bus crashes caused by drivers using stimulants to stay awake for my comfort. Trains in Thailand are safer than buses and are a lot cheaper than taxis or flying. They also provide a stylish way to get to your destination with stunning countryside to be enjoyed in the comfort of your seat. On longer journeys, it is an ideal way to meet new like-minded friends, as the journey can be a good icebreaker. Consider the trip from Bangkok to Chiang Mai, a popular route with retirees and ex-Pats who spend the winter months in this northern city. The distance is just under 700km and takes 11-12 hours by express train. If you prefer, there is an overnight sleeper service which saves time by travelling as you sleep and saves money on an overnight hotel. English-speaking staff can be found inside the terminal and at information booths to give assistance. You must pre-purchase a ticket before boarding and the conductor will come along the train and punch your tickets during the journey. Generally, trains depart on time, but the single-track system may cause delays along the journey. 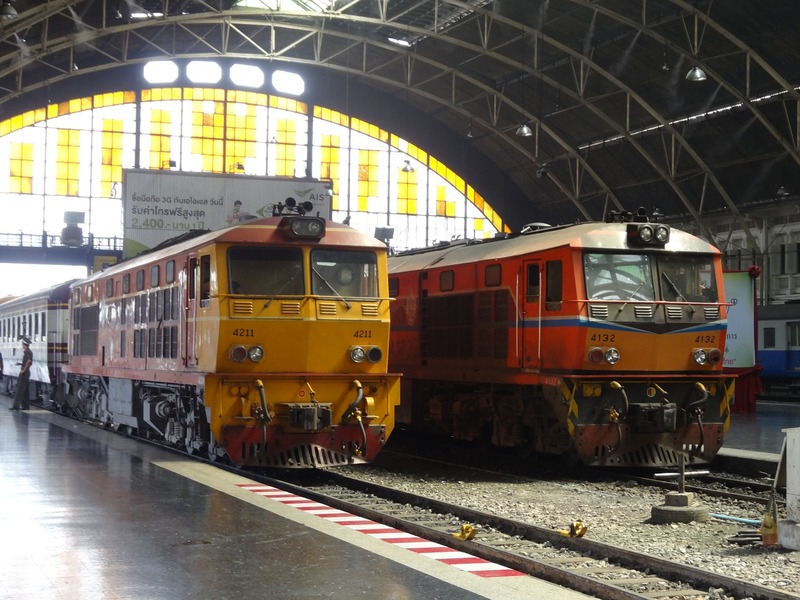 Trains in Thailand offer various classes of travel. Third class travel is only suitable for short local journeys due to the thinly padded wooden bench seats, which the fortunate may secure. The majority of third-class passengers have to stand for the journey in crowded conditions, making the bus a better option. The gold standard for backpackers is the 2nd class Pullman cars where the seats face each other in pairs and convert into beds for the night. Your luggage can be securely stowed on racks next to you and security is generally good, although money, passports and valuables should be kept on your person when you sleep. 2nd class air-conditioned carriages may be available but fans and open windows are generally more comfortable. First class is the way to go if you have the budget, offering comfort, privacy and great value for money. Another great train journey in Thailand is the 70km trip from Bangkok to Maeklong. Visitors take the journey for the unique experiences; the destination is almost immaterial! The journey involves two train journeys separated by a ferry ride. 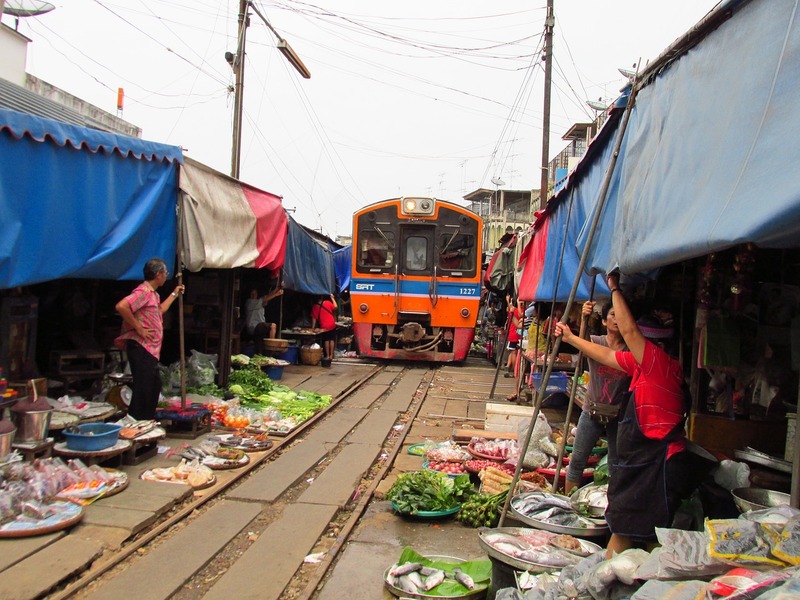 Best of all, the railway runs through the center of a world-famous market, the wheels passing just inches from the beautifully laid out fruit and vegetables which are displayed along the edges of the track. 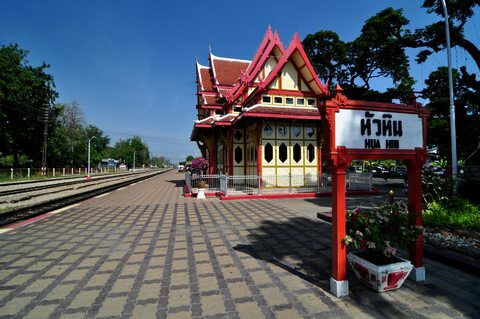 The journey begins at Bangkok’s lesser known third train terminal, the Wong Wian Yai station, and runs for an hour to the end of the line at Samut Sakhon, which is also referred to as Mahachai by local Thais. If you have trouble buying a ticket to Sanut Sakhon, try saying Mahachai. Travelers must descend and walk along Market Street to the river and ferry terminal. Cross the river to Ban Laem and walk through another fish market to the local station where the train then departs for Maeklong (when you ask for a ticket, the “k” in Maeklong makes a “g” sound). After about 55 minutes get your camera ready as the market is on the outer edge of the city of Maeklong and is a truly jaw-dropping sight! I recommend sitting at the back of the last carriage so you can get a great view, and maybe some photos or video, of the stall owners lowering their awnings and returning their produce onto the tracks, within seconds of the train passing. While you can also watch from the front of the train, all of the produce has already been removed before the train rounds the corner, so the view from the rear end of the train is more dramatic. This railway line is not part of the national rail network and you won’t find any of the train times listed on the timetable at the State Railway’s website. –A 5-day rail trip to Kanchanaburi and the River Kwai is an amazing and moving experience for those wanting to pay tribute to the POWs who built the famous bridge over the River Kwai. Travellers start the journey in Bangkok and travel through some amazing countryside to Kanchanaburi and then travel along the Thai-Burma railway. One day is spent exploring the caves in Kanchanaburi along with delving into World War II history in the War Museum and the Allied Cemetery followed by a river trip on a bamboo raft and an elephant ride in the rainforest. 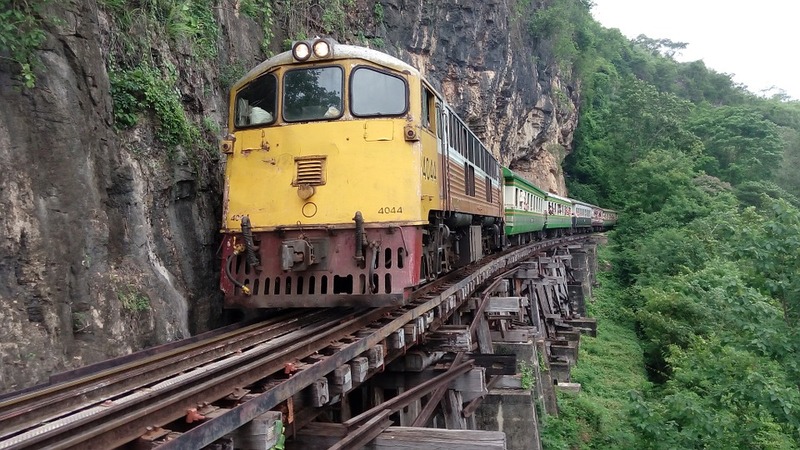 The following day is a ride on the “Death Railway” before returning by train to Bangkok. If you are planning a journey through Thailand, explore the possibility of travelling by train and turn a necessary trip into a memorable adventure! Aaron Christe posts photos of, writes about, and reviews as many beautiful Thai hotels as he can afford to stay at. 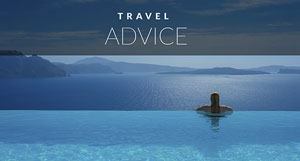 A couple of weeks ago we wrote an article called 8 Ways to promote your travel Blog. In that article, we encouraged writing a guest post for other blogs. It is a great way to gain exposure when starting out. 22 Responses to "Exploring Thailand by Train"
Thanks for sharing! I would love to go to Thai sometime, I have heard that the people from there is so kind and helpful, also Thailand is such an amazing and beautiful place surrounded by nature and magic. I can’t wait to start my trip. This is the first time I read something related to trains and I would enjoy to try that. Yes! Finally someone writes about The Urban Age Hostel Bangkok. Ahh, the good old days when trains use to stay on the rails. I think Thailand has had something like 100+ derailments this year alone, so I wouldn’t recommend traveling this way anymore, at least not in the foreseeable future. I took the night train from Chiang Mai to Bangkok before. It is a great way to see the country side and save some money. I would recommend it to anyone to try. 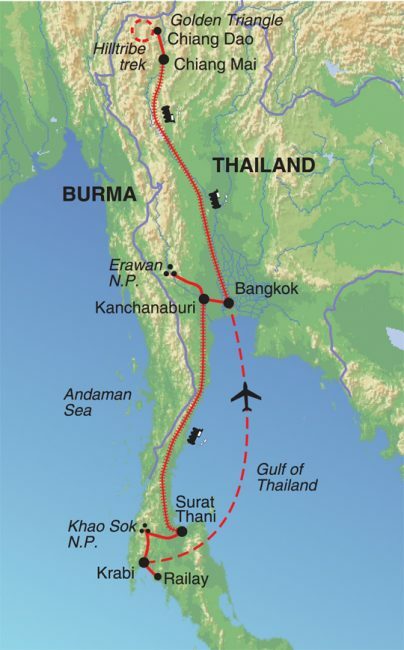 Heard that Thailand is planning to increase the speed of its rail system and expand its logistics network. Think this will be good for tourists. Train is one of my favourite means of transportation when I travel and I have to say you’re absolutely right about Thai railways. I took the Surat Thani ride to Bangkok first class, it was awsome and very clean and confotable.Despite the almost irrelevant price difference between 1st and 2nd class I decided to take a 2nd class tiket on my 2nd train ride from Bangkok to Chiang Mai and that was even better, more interactions with the always friendly locals and other travellers and still cozy and clean. 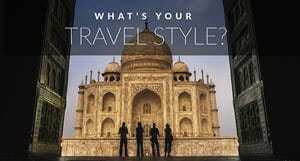 Reccomended to every fellow traveller! That sounds awesome Stefano. We haven’t ridden first class, only second. Glad to hear that you liked it better. Roaming in Thailand is easy, economical and convenient. 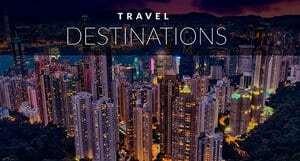 Apart from domestic services of Thai Airways International which flies to major destinations, the country also has a large network of highways and smaller roads linking the main cities with outlying areas. Your post about the 5-day rail trip to Kanchanaburi and the River Kwai is very interesting. This would be a fabulous train travel experience. You are right, it would be very moving and meaningful given the POW history surrounding this famous bridge. Thank you for sharing. I love the post. I’ve been to Thailand last September, 2010 for a study tour on the successful cooperatives/credit unions in that country but our travel was only around Bangkok. How I wish I can travel by train to other places of interests. Hopefully, in the near future. Thank you for publishing my post and I am glad that it was well received. I thought I’d drop by and mention another short train trip that I didn’t have room to mention in the article. It’s great for people that want to experience the magic of train travel but don’t want to spend all day or several days on the trip. The picture at the top of the post is of Hua Hin station, which is about 2 hours south of Bangkok by car, but between 3 and 4 hours by train. And get this, it costs 44 Baht! That’s USD 1.50. One dollar and fifty cents for a third class ticket. You get to sit with the locals and experience how they travel as it meanders down the coast, however this is probably the longest you would want to travel on a third class ticket. Hua Hin is a beautiful sleepy little beach town that is famous among Thais as the summer residence of the Royal Family. It’s a great fun, not-too-long train trip and if you don’t feel like taking the train back to Bangkok, there are plenty of buses that will get you back to the capital in two hours for a couple of hundred Baht. .-= Aaron Christe´s last blog ..Marriott Executive Apartments in Bangkok- Which one is right for you =-. Thank you Aaron for writing such an amazing post for us filled with great information. You can come back and write for us any time! .-= yatra´s last blog ..Airlines rates has been dropped =-. 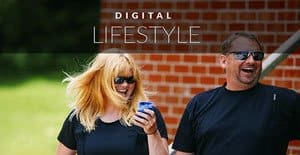 Great post and love it! Well, I’m bias because I’m from Thailand. 🙂 But another great train trip is the Orient Express from Bangkok to Kuala Lumpur which will take you to the Southern part of Thailand. It’s not easy on the budget but definitely worth looking into. For cheaper alternative, you can take the regular train to the south that will take you to many great destinations. Great post. I traveled by train from Bangkok to the north of Thailand and it was an amazing experience. A word of advice: If you have a backpack, you may want to splurge for 2nd or 1st class trains. Lugging gear on a super-crowded 3rd class train was very difficult! Although the fare was ridiculously cheap! .-= LeslieTravel´s last blog ..Photo Essay- The 20th Annual Tompkins Square Halloween Dog Parade =-. I am sold – this is what I will do whenever I visit Thai. Gives me an idea to explore south east Asia by train. Thanks for the great post! .-= Ajay Jain´s last blog ..Great Himalayan Drive- Autumn Colours at Nako Lake =-.